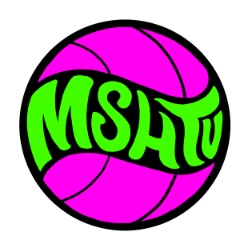 BASKETBALL SPOTLIGHT NEWS: MSHTV Providing Extra Individual Video Services! MSHTV Providing Extra Individual Video Services! As you know Basketball Spotlight Future Phenom Camp will be loaded with video media coverage. Now Middle School Hoops TV has decided to bring some additional video services. The videos will be created for individual players and will be between 45 seconds and 2 minutes long depending on how many highlights are caught on video. The videos will be cut to music and uploaded to YouTube. Over 300 Players Flock To Future Phenom Camp! Spotlight Alum Bagley Joins The Blue Devils! Sonny Johnson Jr. Prime For Future Phenom Camp! Spotlight Alum Quinerly Picks Arizona! Future Phenom Camp Hotels Ready To Go! Holloway Headed Back To Future Phenom Camp!